A lot has happened since my last blog post so let me fill you in. The most important news is that I held my very first workshop! My “Creating a Healthy Lifestyle” seminar was such an incredible success I can barely believe it! I had a great feeling about it when I sold out within the first two weeks of announcing it! The boost of energy and excitement I received when I realized that people really do want to change their lives (not just follow me as I change mine) was so intensely passionate. It fuelled me like nothing I have felt before throughout this entire journey. I had a lovely group of sweet ladies attend the workshop and the interaction between everyone was so incredible to witness. Physically working with others was such a treat. It’s completely different from online interaction and it really changed my perspective on where I want to direct my focus from here on out. Many questions were asked, many lessons were learned, and I could tell they were all so comfortable with me and the rest of the group which was very rewarding. All of my appetizers were a hit and the homemade Sweet Iced Tea was raved about as well. It was a small and intimate workshop which is exactly what I was aiming for. I really wanted to connect with each and every individual and address any personal struggles they had coming into the seminar. The feedback I received resulted in such an emotional moment for me. I was thanked many times for offering such great information and inspiration all while being “real.” It was such an eye opening experience. I didn’t know what outcome to expect going into it but I felt so blessed afterwards. I felt like this was one giant step in the right direction for Nutty4Nutrition. *To learn what my workshop entailed check out all of the details [here]. 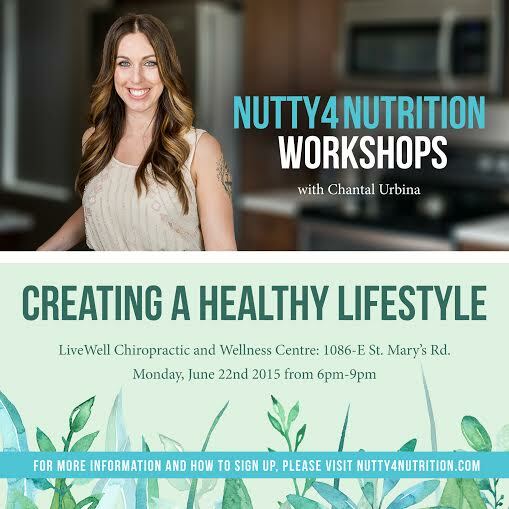 I am planning to host another “Creating a Healthy Workshop” in August or September. I will definitely keep you posted. Cooking class seminars are also in the works however it may be a few months before they are available. In the meantime I would definitely love to work with individuals or small groups in regards to cooking lessons (did you know that a cooking class party is the new hip and happening trendy thing to do ;) If interested, contact me [here]. 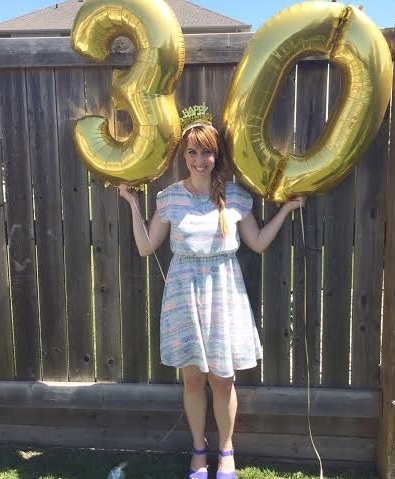 Other than that huge bomb of excitement, I turned 30! I am now a mature and wise woman who feels more confident and grateful than ever. 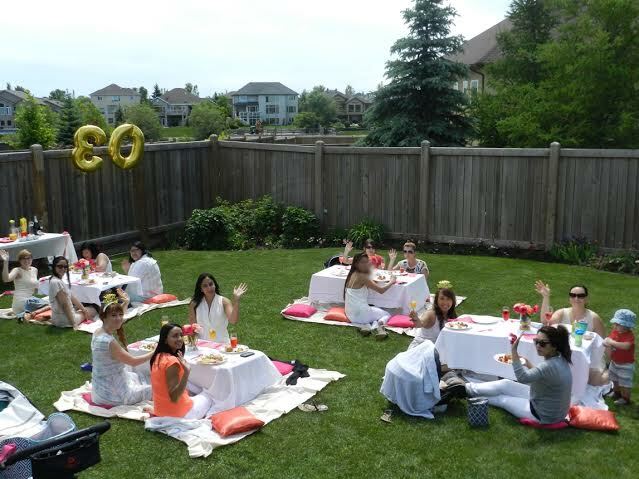 One of my dearest friends threw me a surprise birthday brunch backyard garden party. I was so flattered and overwhelmed. It was honestly the best birthday ever. My husband even bought me a cake from a local gluten-free bakery Cocoabeans Bakeshop. I indulged in a gluten and dairy free red velvet cake for a week straight! I am headed to Kelowna, British Columbia in just over a week and I’m so excited. Kelowna is absolutely stunning and I’m flying out for my mother’s wedding. I’m excited to stand by her as she joins her hand in marriage with a man that truly makes her passionately happy. I will also get to see some family members that I have not seen in years so it will be a lovely vacation. Shortly after Kelowna (as in two days later) I am going on a girl’s trip to Toronto. The last time I visited Toronto I was not into health and wellness at all. I actually (don’t hate me Torontonians) was not fond of the busy city at all but I’m confident that I will absolutely love it this time around. Toronto is where it is at for any and all things health related. There are so many places to see and people to connect with! I FINALLY get to meet my Instagram friend Sheereen (@dieffs)-we have been talking for a couple of years of now and have never met! Hmmm what else happened? 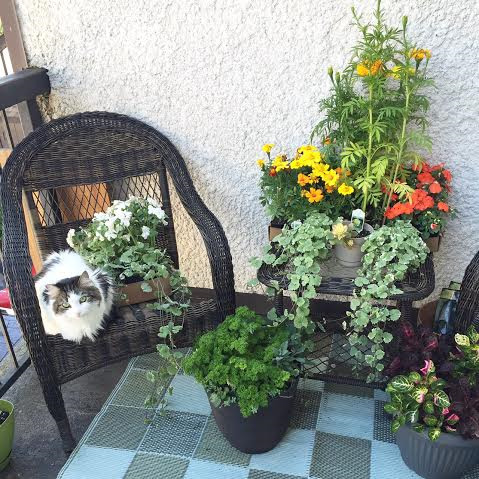 I finished pimping my balcony. It looks stunning and my greenery and flowers act as an instant therapy outlet. I am actually currently blogging from my wicker chair (the one Poncho did not claim as her own). As much as I am in love with my balcony, I think Poncho and Pepino adore it even more than I. If I didn’t bribe them back inside with food or treats….I don’t think they would ever come back into the house. I also created and hoarded the most amazing plant based burger recipe. I didn’t mean to hoard it but I had my workshop to prepare for and well, summer. Alas-I’m sharing it with you all now and you will soon agree that it was well worth the wait. These babies are hearty, satisfying, and they don’t fall apart! Enjoy! ½ cup buckwheat flour (any other grain based flour should be fine here). 1 cup of finely chopped leafy greens (I used Bok Choy but feel free to use spinach, kale, swiss chard, etc). Mix the ground flax and the water together in a small bowl and set aside for 5 minutes. In a large bowl, mix all the ingredients together thoroughly. Form patties in ¼ cup measurements. My perfect burger shape hack is using the twist on part of a large mouth mason jar. I stuff the burger mixture within the “mold” and pat firmly. Place the patties on cookie sheets lined with parchment paper and bake for ~17 minutes. Flip the patties and bake for another ~10 minutes or so. Let cool briefly then enjoy! Are there any MUST visit places in either Kelowna or Toronto as far as you are concerned? !Tell me the hot spots so I can explore my little heart out!